These exquisite earrings each made with a One Carat Brilliant Cut Clear Lab-Created Sapphire Gem Stone measuring approximately 6mm each. They are in an elegant yet secure setting of Rhodium Plated Jewellers Brass. 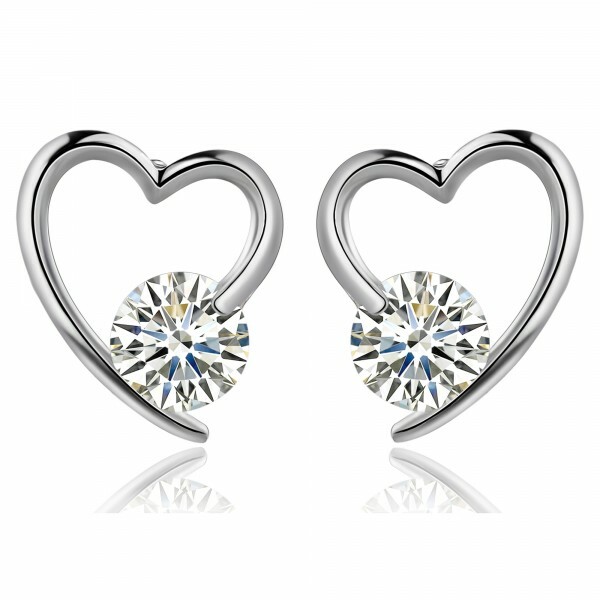 The Pair of Tipped Heart earrings dazzle and shimmer in a subtle way making a statement of classic elegance. These earrings benefit from their very own luxury velvet pouch.